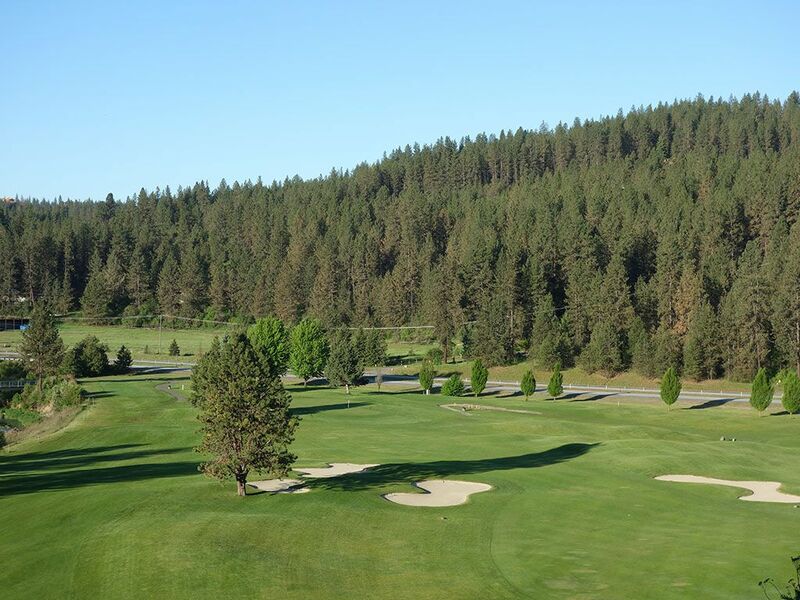 Course Website: Official Website - Visit The Creek at Qualchan's official website by clicking on the link provided. 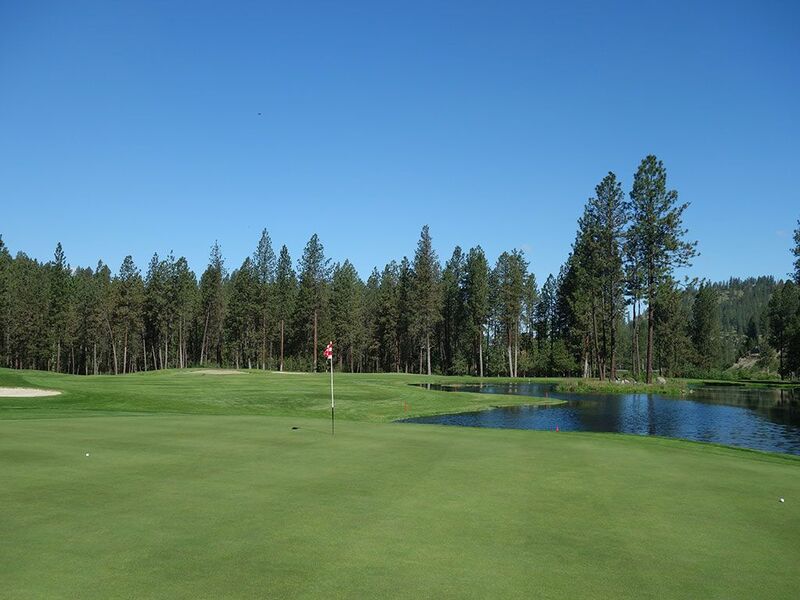 Accolades: Ranked 5th in Washington on Golf Course Gurus' Best in State rankings and one of the best values in America. What to Expect: I flat out love The Creek at Qualchan! Sometimes you find a course that just strikes a cord with you and Qualchan does exactly that with me. The course rests on a beautiful natural setting and boasts many species of wildlife, in fact, the course is a member of the New York State Audubon Society. 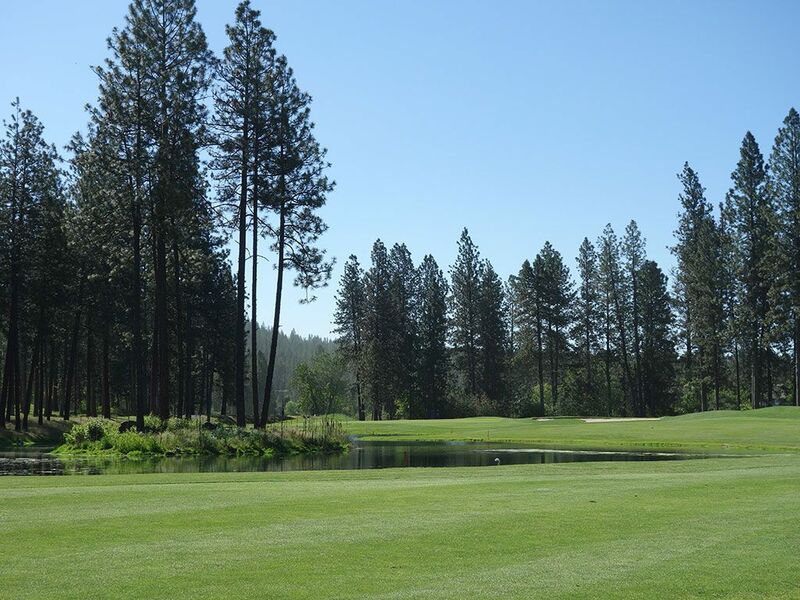 Several attractive water hazards are found on the property along with impressive elevation changes, towering pines, and enough bunkers to keep things interesting but not overly penal. 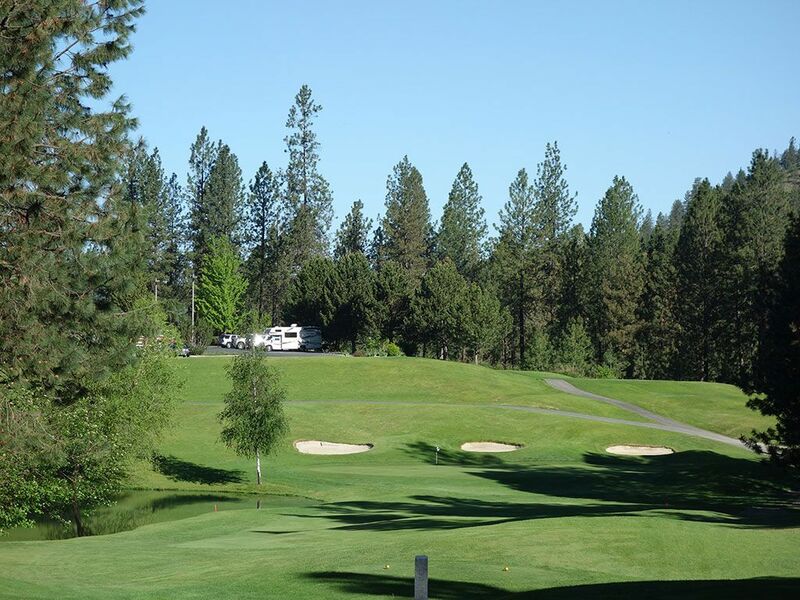 The routing takes you on an adventure right off the bat with a cliff edge tee shot over Hangman Creek and finishes with a bang by featuring a par five that plays back over the creek to a green that is half way back up that same opening tee shot cliff. Qualchan is a beautiful course that you would swear was a private club with the quality of the layout and solid conditioning. Many patrons elect to walk the course which is certainly doable and flows well after the initial traverse from the first tee to the opening fairway, but carts are available as well. 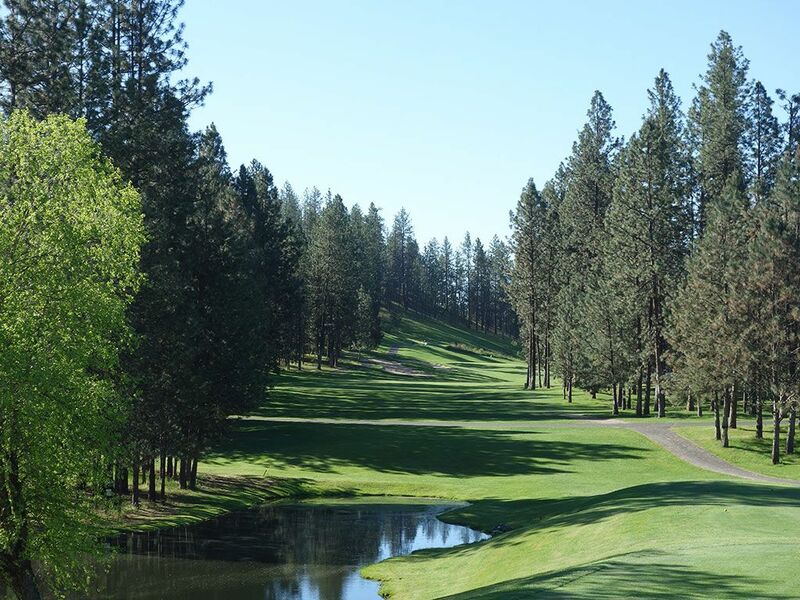 With green fees under $40, The Creek at Qualchan stands as one of the best values in America and trumps Indian Canyon as the best course in Spokane. Signature Hole: 1st Hole – 359 Yard Par 4 – The signature hole is often the climax of a round for most golfers. Players anticipate all round long the opportunity to face Sawgrass' 17th hole, Cypress Point's 16th hole, or Pebble Beach's 18th. 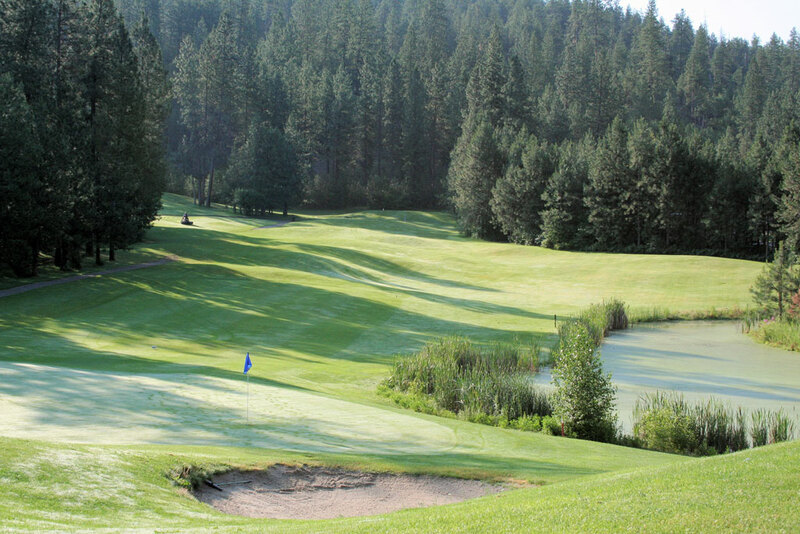 But at the Creek at Qualchan you are offered the signature hole right off the bat which sets the tone high for the rest of the round. 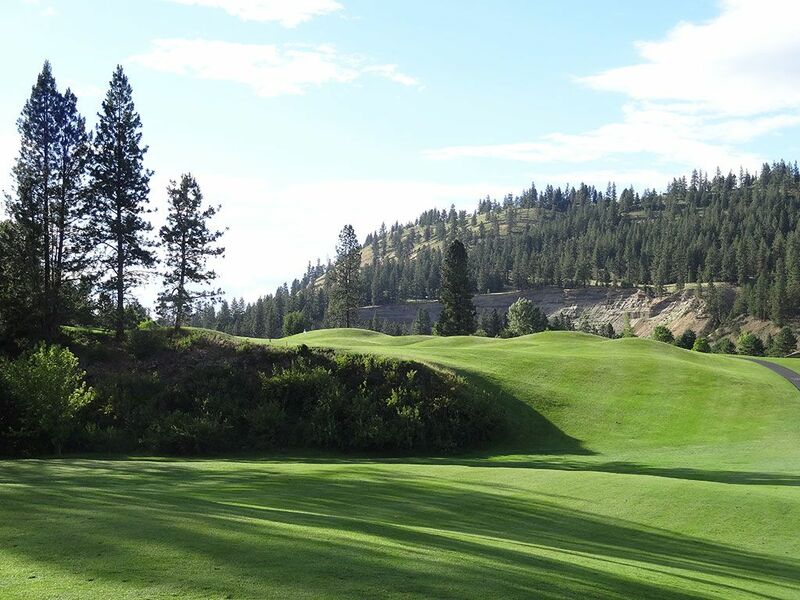 The opening hole at Qualchan takes you off a cliff edge over Latah Creek to the fairway resting nearly 100 feet below. Four bunkers line the fairway near the landing zone which delivers extra anticipation of where your ball will end up as it freefalls from the sky. Best Par 3: 11th Hole – 210 Yards – The first par three on the back nine is a solid one-shotter that plays just over 200 yards to a green that is framed by a trio of bunkers. The left side of the hole in lined by a large pond, but it should only come into play if you hit your shot fat or severely under-club. Avoiding the bunkers behind the green is critical to saving par since the green runs away back towards the tee box making it difficult to hold a bunker shot close. Best Par 4: 2nd Hole – 398 Yards – From an architectural design perspective, the 2nd hole at Qualchan is the finest work on the golf course. The tee shot plays towards a hill in the fairway that is lined with trees on the left and a natural rough area on the right. How far to hit it off the tee is a challenge to determine since the further you hit it the tighter the landing area becomes. If you can place right on top of the hill you are in the best position for at least a partial view of the green, but if you are short of the hill or even past it a ways it offers a blind approach to the very elevated putting surface. 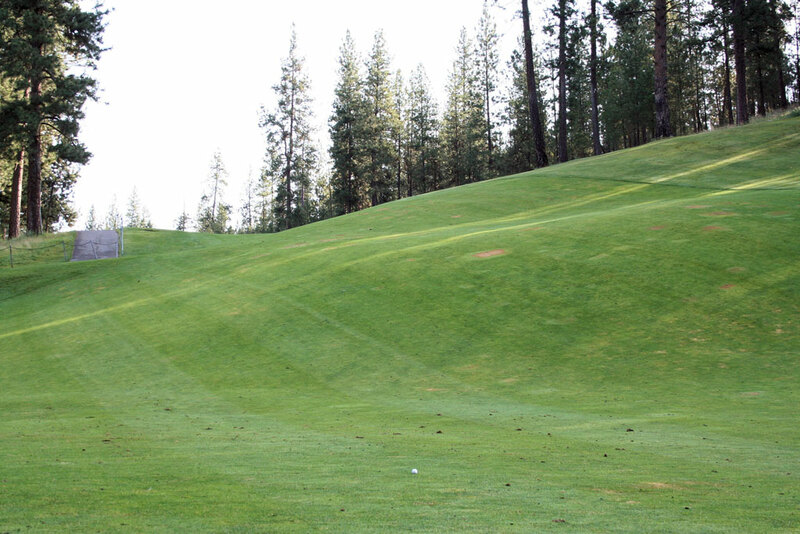 The fairway wraps up and to the right before meeting the green while the left side of the green is guarded by a small gorge and some tall trees. The options of how to play this hole and the potential situations you may be faced to navigate through at quite extensive and interesting which results in the hole never being monotonous to play. Best Par 5: 16th Hole – 503 Yards – The collection of par fives is the strength at Qualchan which makes it difficult in determining which one is the best, but everytime I play it I am convinced the 16th is the winner. 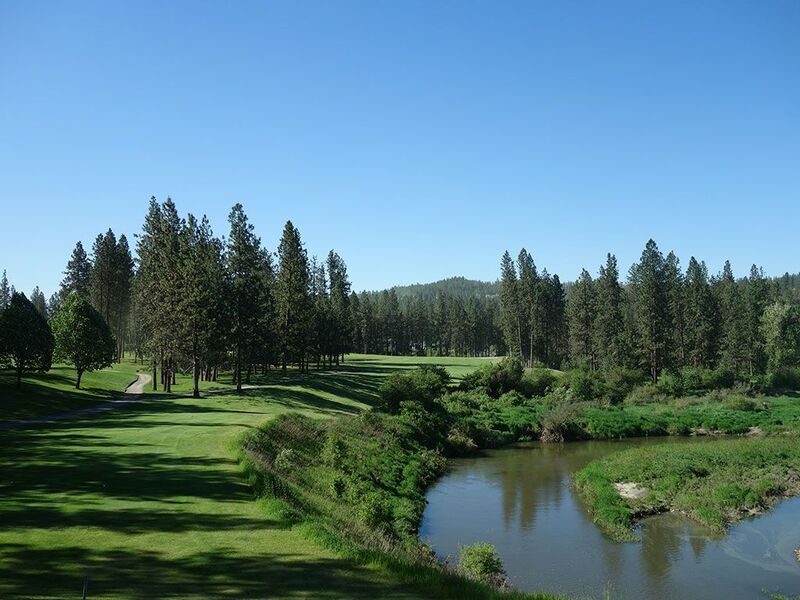 First off, the view is beautiful with Latah Creek gliding in the foreground and the aisle fairway cutting through the mature pine trees. A tee shot up the left side of this dogleg left hole will shorten the hole and set you up perfectly for taking a run at reaching the green in two. Delivering yourself an eagle putt means hitting an approach shot over a pond of water that features a small island with a tall tree in the middle of it. So depending on the angle you may have to work your ball around the tree to reach the green, otherwise you can layup to the right and leave yourself a short chip to the hole. Birdie Time: 13th Hole – 333 Yard Par 4 – An excellent opportunity to score birdie at Qualchan while playing its most controversial hole. The 13th hole has received more than its fair share of criticism due to the non-traditional nature of the tee shot and the feeling that the hole was crammed into a space that wasn't adequate for a golf hole. Personally, I think those critics need to expand their minds a little bit and enjoy the hole for what it is. The hole is a severe dogleg left that plays well downhill to a blind landing zone that is about 225 yards away. 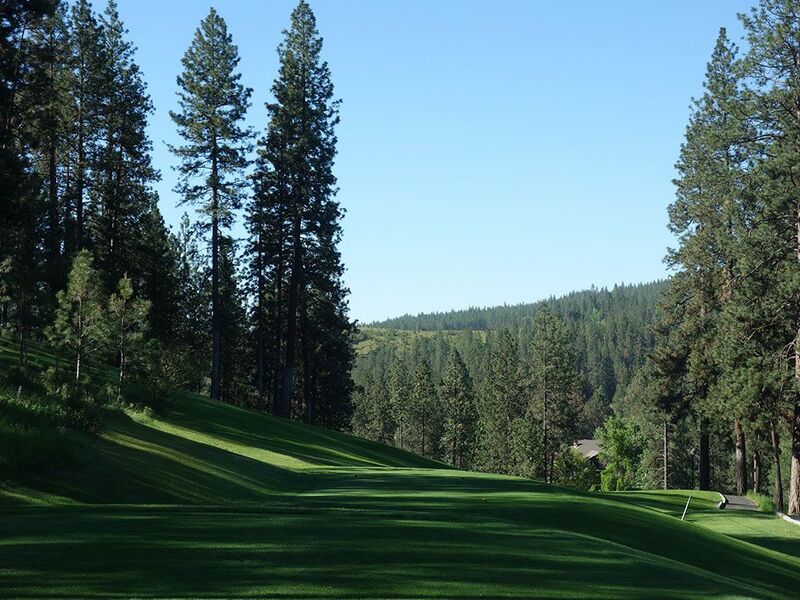 A gutsy tee shot is to aim towards the blind green and try and cut the corner, which is a large hill covered in pine trees, and reach the putting surface. It is actually shocking the number of golf balls I've seen hit into those trees on the inside of the dogleg that end up rolling down the hill and finding a portion of the fairway. If you aren't going for the green with your tee shot then all you need to do is hit about a 150 yard shot that will then catch the downslope of the fairway and roll 50-75 yards down to the landing area. From there it is a simple, slightly uphilll, pitch shot of less than 100 yards. Whenever you have that great of a chance to be in the fairway and have a short approach you have a great chance at birdie. Bogey Beware: 12th Hole – 450 Yard Par 4 – The number one handicap at Qualchan certainly delivers a challenge to golfers and a serious threat of bogey. Measuring out at 450 yards, this fairly straight hole offers no opportunity to cut some length off on the drive or approach so you've got to play it straight up the whole way. The tree lined narrow fariway slopes to the right and if you leak it too far that direction you'll need to retee since o.b. lurks beyond the trees. After you successfully navigate your tee shot into play you'll be faced with a slightly uphill approach shot to a angled green that runs away from you. The fairly steep slopes on either side of the green make getting up-and-down for par a more difficult proposition so you better hit a pair of great shots and get on the green in two to avoid bogey here.